The Bharat Darshan train is a special tourist train that's operated by Indian Railways. It takes passengers on all-inclusive tours to some of the most popular destinations in India, with particular emphasis on holy places. The tours are targeted at domestic Indian tourists wishing to go on pilgrimages and visit temples. The train provides an affordable option to do so, as costs are kept as low as possible. The Bharat Darshan usually uses Sleeper class carriages without air-conditioning, accommodating about 500 passengers in total. However, 3AC carriages have now been introduced on some train tours as well. There's a pantry car for on-board catering. Tours are conducted by students from reputed tourism and hotel industry colleges. Margazhi Special Guru Sthala Yatra (4 nights, departs January 10 from Madurai) -- Nava Brindavanam, Mantralayam, Ahobilam. The cost is 6,160 rupees per person. Panj Takht Express (9 nights, departs January 14 from Delhi) -- Sri Hajur Sahib (Nanded), Sri Harmandirji Sahib (Patna), Sri Keshgarh Sahib (Anandpur), Sri Akal Takht (Amritsar), Sri Damdama Sahib (Bhatinda). This tour visits all five Sikh gurudwaras that have special significance in India. The cost is 15,750 rupees per person in 3AC. Pongal Vacation Special (4 nights, departs January 16 from Madurai) -- Nanjangud, Melkote, Srirangapatinam, Talacauvery, Coorg, Mysore. The cost is 5,635 rupees per person. Dakshin Darshan Special Tourist Train (11 nights, departs January 16 from Rajkot) -- Rameshwarm, Madurai, Kanyakumari, Trivendrum, Tirupati, Shirdi. The cost is 11,340 rupees per person in Sleeper class and 13,860 rupees per person in 3AC. Dakshin Bharat Yatra (11 nights, departs January 18 from Jalandhar) -- Rameshwaram, Madurai, Kovalam, Trivandrum, Kanyakumari, Tiruchirapalli, Tirupati. The cost is 11,340 rupees per person. Mookambika Special (4 nights, departs January 22 from Madurai) -- Murudeshwar, Kollur, Mookambika, Sringeri, Horanadu, Dharmasthala. The cost is 6,930 rupees per person. North Kerala Special (4 nights, departs January 22 from Madurai) -- Calicut, Wayanad, Kasargod. The cost is 5,830 rupees per person. South Kerala Special (4 nights, departs January 22 from Madurai) -- Guruvayur, Kodungalur, Chotanikara, Alleppey, Cochin, Athirapally. The cost is 5,830 rupees per person. 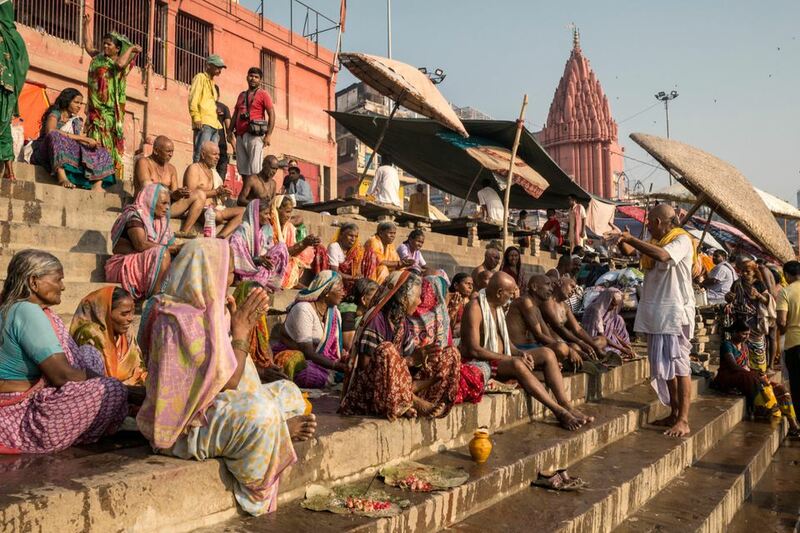 Ardh Kumbh Mela Special (10 nights, departs January 28 from Madurai) -- Puri, Konark, Kolkata, Gaya, Allahabad, Varanasi. The cost is 11,280 rupees per person. Kumbh Special Tourist Train (11 nights, departs January 30 from Rajkot) -- Puri, Kolkata, Gangasagar, Gaya, Varanasi, Allahabad. The cost is 11,340 rupees per person in Sleeper class and 13,860 rupees per person in 3AC. Gangasagar Puri Yatra (7 nights, departs February 2 from Jaipur) -- Gaya, Puri, Konark, Gangasagar, Baidyanath. The cost is 7,560 rupees per person. Kumbh Snan Along Shirdi Jyortlinga Yatra (11 nights, departs February 5 from Raxaul) -- Allahabad, Ujjain, Dwarika, Somnath, Shirdi, Nashik. The cost is 11,340 rupees per person. Ratha Sapthami Special (4 nights, departs February 9 from Madurai) -- Dwaraka Tirumala, Vasavi Kannika Parameswari, Sri Bhimeswara Swamy, Manikyamba, Puruthika Devi, Simhachalam, Srikurmam, Annavaram, Kanagadurga. The cost is 6,160 rupees per person. Dwarkadhish Jyortling Yatra (7 nights, departs February 12 from Chandigarh) -- Omkareshwer, Ujjain, Ahmedabad, Dwarka, Nageshwar, Somnath. The cost is 7,560 rupees per person. Kumbh Special with Puri Gangasagar Darshan (9 nights, departs February 14 from Indore) -- Puri, Gangasagar, Varanasi, Allahabad. The cost is 9,450 rupees per person in Sleeper class and 11,550 rupees per person in 3AC. Samanata Express (10 nights, departs February 14 from Nagpur) -- Chaityabhoomi (Mumbai), Mhow (Indore), Bodhgaya (Gaya), Sarnath (Varanasi), Lumbini (Nautanwa), Kushinagar (Gorakhpur), Deekshabhoomi (Nagpur). This tour is running in memory of Doctor Bhimrao Ramji Ambedkar, and visits prominent places associated with his life and Lord Buddha. The cost is 10,395 rupees per person in Sleeper class and 12,705 rupees per person in 3AC. Ardh Kumbh Mela Special (11 nights, departs February 15 from Madurai) -- Varanasi, Allahabad, Gaya, Haridwar, Delhi, Mathura. The cost is 12,230 rupees per person. Bharat Darshan Special Tourist Train (14 nights, departs February 20 from Guwahati) -- Vizag, Tirupati, Kanyakumari, Rameshwaram, Madurai, Puri. The cost is 14,175 rupees per person. Dakshin Darshan Yatra (10 nights, departs February 25 from Indore) -- Tirupati, Rameshwaram, Madurai, Kanyakumari, Trivandrum. The cost is 10,395 rupees per person in Sleeper class and 12,705 rupees per person in 3AC. Jyortlinga Yatra with Statue of Unity (9 nights, departs March 10 from Rewa) -- Indore (Omkareshwar), Ujjain (Mahakaleshwar), Vadodara (Statue of Unity), Dwarka, Somnath, Nashik (Trambkeshwar), Pune (Bhimashankar), Aurangabad (Ghrishneswar). The cost is 9,450 rupees per person in Sleeper class and 11,150 rupees per person in 3AC. Dwarkadhish Jyortling Yatra (7 nights, departs March 15 from Varanasi) -- Omkareshwer, Ujjain, Ahmedabad, Dwarka, Nageshwar, Somnath. The cost is 7,560 rupees per person. Uttar Darshan Yatra (6 nights, departs March 22 from Indore) -- Haridwar, Rishikesh, Vaishnodevi. The cost is 6,615 rupees per person in Sleeper class and 8,085 rupees per person in 3AC. Dakshin Bharat Yatra (11 nights, departs March 26 from Varanasi) -- Rameshwaram, Madurai, Kovalam, Trivandrum, Kanyakumari, Tiruchirapalli, Tirupati. The cost is 11,340 rupees per person. Dakshin Darshan (8 nights, departs March 31 from Mumbai) -- Kanyakumari, Trivandrum, Madurai, Rameshwaram, Thanjavur, Renigunta. The cost is 8,505 rupees per person in Sleeper class and 10,395 rupees per person in 3AC. Bharat Darshan (9 nights, departs April 12 from Kolhapur) -- Puri (Malatipatpur), Kolkata, Gaya, Varanasi. The cost is 9,450 rupees per person in Sleeper class and 11,550 rupees per person in 3AC. Bharat Darshan (11 nights, departs April 23 from Kolhapur) -- Dwarka, Somnath (Veraval), Ujjain, Mathura, Haridwar, Amritsar, Vaishnodevi. The cost is 11,340 rupees per person in Sleeper class and 13,860 rupees per person in 3AC. There are set stations from the departure point where it's possible to board the train. Unless stated otherwise, the prices mentioned above are for train travel in Sleeper class. The price includes train travel, lodge or dormitory accommodations on a multi-sharing basis (it's often possible to pay extra for a hotel) at places where there are overnight stays, vegetarian meals, tourist buses for visiting sightseeing spots, tour guides, and train security guards. Entrance fees for attractions are additional. Is Travel on the Bharat Darshan Suitable for You? The answer to this question will depend on your individual comfort zone! There are a number of drawbacks to the Bharat Darshan train that travelers should be aware of. The tours can get very tiring as the itineraries are hectic. They are not leisurely tours! Passengers are taken to different places every day and there is little opportunity for rest. What's more, the tours aren't always well-organized or managed, and delays can be encountered. The focus of the tours is on visiting temples at each destination, which may become monotonous for anyone who's interested in sightseeing more than going on a religious pilgrimage. It can get hot and uncomfortable inside the train, as there is no air-conditioning in Sleeper class. Sleeper class also offers little privacy and the toilets are often dirty. While some overnight stays are included on the tours, long stretches can be spent traveling on the train. However, if you don't mind budget travel and are quite adaptable, it's an easy way of seeing India. You can find out more information about the tours and make a reservation for travel on the Bharat Darshan by visiting the Indian Railways Catering & Tourism Corporation's rail tourism website, or at Indian Railways Tourist Facilitation Center at New Delhi Railway Station, Zonal Offices, and Regional Offices.